Fixed Assets Management System primarily helps you keep track record of the Assets of the Organisation and its where abouts. The system at the same time enables you to calculate Depreciation and also enables you to find out the Cost, Accumulated Depreciation, WDV / Profit and Loss at the time of Sale of the Asset, Asset Maintenance module and Bar Code generation for physical verification. 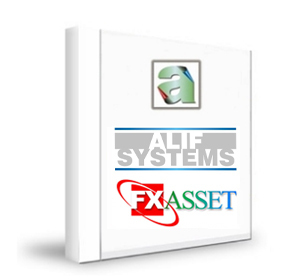 Classification of Assets: Assets can be classified into groups e.g. Building, Plant & Machinery, etc. The same can be further classified into Categories. Allocation of the Asset: Unit / Location / User Department / Responsible Department can be assigned to each asset for classification and analysis of the various assets and also for physical verification. Asset Details: Cost, Purchase date, Installation date, can be entered into the system for all assets. Cost break-up for Purchases: The details of cost break-up i.e. Basic Cost of the Asset, incidental costs like freight, cartage, custom duties, installation cost can be entered separately for your reference. Manufacturers / Suppliers details: Manufacturers and Suppliers name & address along with Sales Tax Registration details can be entered in the system at the time of purchase & opening balance break-up.